You can shout "grenade!" and see Master Chief sling one with the Kinect functionality 343 Industries has added to Halo: Anniversary, the high-definition remake coming Nov. 15. Other voice commands include "reload!" the studio revealed yesterday at Comic-Con. Kinect will also support the spoken command "analyze," which allows players to capture specific items from the environment and store them in the game's "Library," where they are given a text listing and a 3D model to view up close. Though 343 did not specify further, it sounds as though "reload," "grenade" and "analyze" are not the only spoken commands Halo: Anniversary will recognize. We'd already heard that Kinect would allow players to switch the game between its high-definition and classic graphics. Also, ShackNews reported that 343 revealed that "Hang 'Em High" is the final multiplayer map for Anniversary. 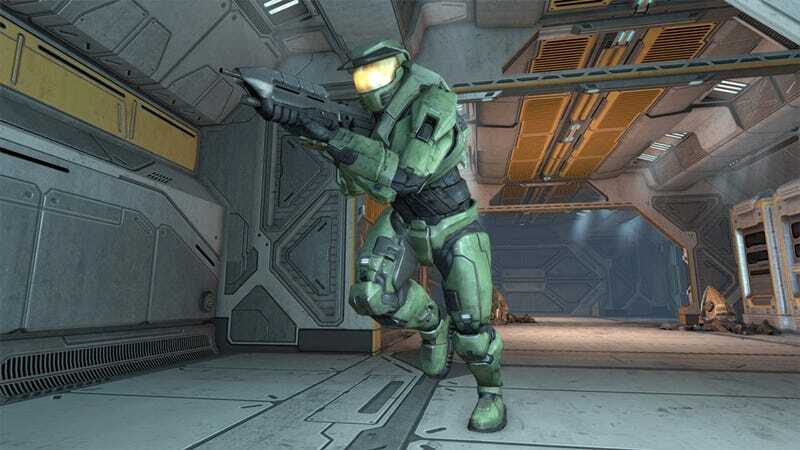 A short video of 343's discussion of Kinect functionality may be seen at Joystiq.